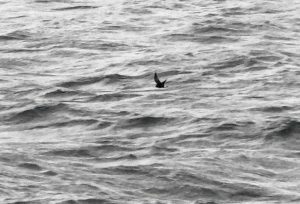 SOUND of JURA: An early morning seawatch from Kennacraig to Port Ellen, Islay produced – 2 Sooty and 225 Manx Shearwater, 2 Storm Petrel, 2 Great Skua, 162 Kittiwake, 1,420 auks (mostly Common Guillemots but inc at least 28 Razorbill), 10 Black Guillemot, 2 Fulmar, 110 Gannet, 1 Arctic and 1 Sandwich Tern (Jim Dickson). 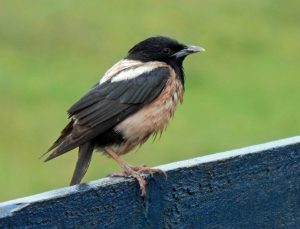 TIREE: Rosy Starling showing well on feeders at Kenovay at lunch-time – apparently been there since at least 14 Aug (Alex and Dolina MacDonald per John Bowler). 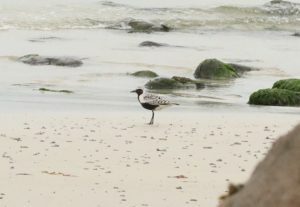 Nick Wall saw an adult Grey Plover at Greenhill today and 4 Bar-tailed Godwit at Gott Bay yesterday. 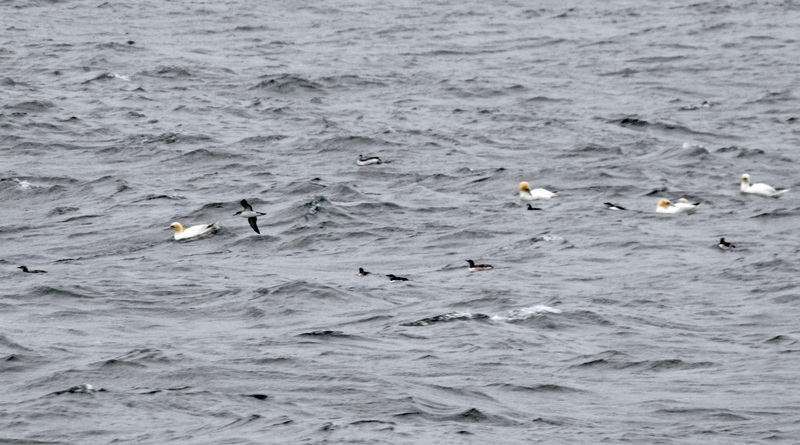 GREY PLOVER – Greenhill, Tiree 17th Aug (Nick Wall). ROSY STARLING – Kenovay, Tiree 17th Aug (John Bowler). 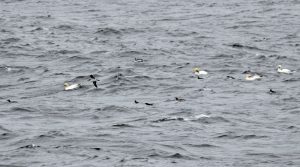 GANNETS, AUKS & MANX SHEARWATER – Sound of Jura 17th Aug (Jim Dickson). 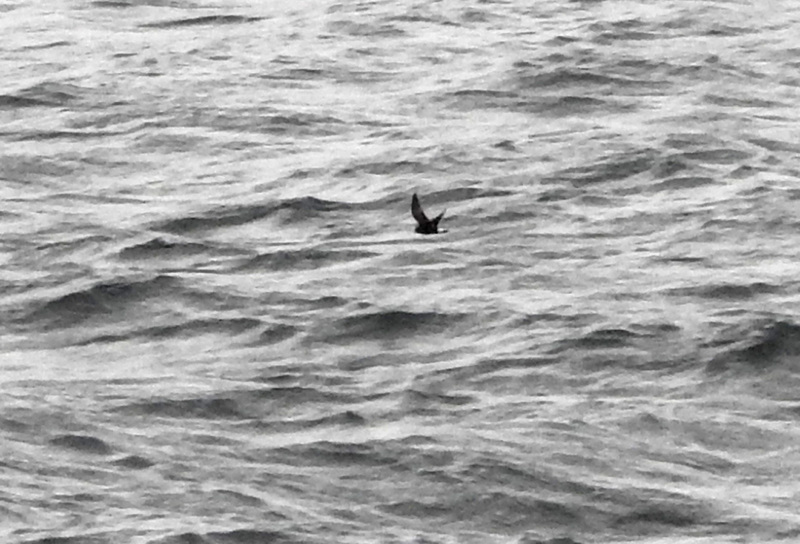 STORM PETREL – Sound of Jura 17th Aug (Jim Dickson). 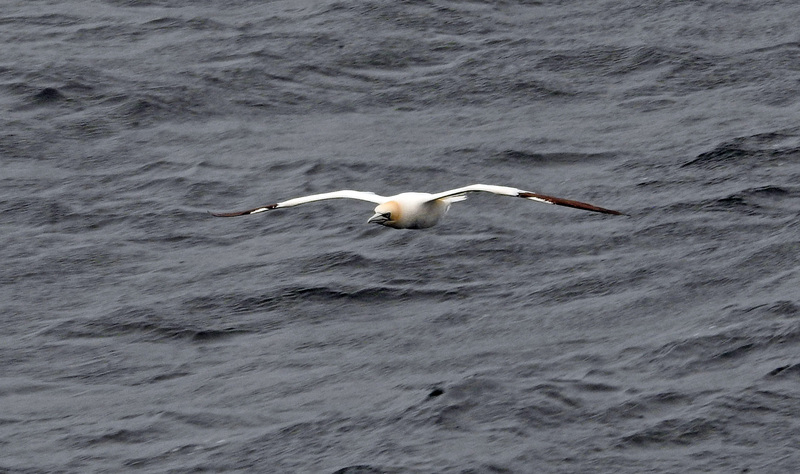 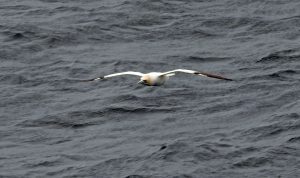 GANNET – Sound of Jura 17th Aug (Jim Dickson).